Indoor heating and cold dry air are two main culprits that sap moisture from our skin and scalp during the winter. The best defense for your entire system is to drink lots of water. Then, to layer in extra love to your skin and hair, we recommend adding some oil into your daily prep routine. Cibu Ancient Serum with Argan Oil is our top pick to keep your hair and skin soft and hydrated. Simply add a few pumps into your favorite body and face lotion for skin that will glow. Treat dry cuticle beds by massaging a few drops onto nails. Is a dry scalp your issue? Massage a pump or two of serum onto your scalp only before bedtime or prior to your shower and say bye bye to those dry flakes! For shiny, softer hair just add a pump into your conditioner. Or after your shower, add in a pump to damp hair and style. This product has so many uses that it's always on our must have list for every season, especially winter! Give your locks intense conditioning treatment with a weekly hair mask. If you use heat tools regularly, you should make this part of your year round ritual. 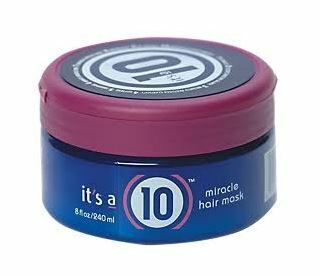 But in the dry cold months of winter, most hair types can benefit from a moisturizing infusion that hair masks provide. Restore hair's moisture balance with a 5 minute weekly hair mask. After you shampoo, squeeze the excess water from hair and apply. If you suffer from dry scalp, massage into your roots as well. Or just apply on mid-shaft to ends if you tend to have oily hair. Our favorite masks are It's a 10 Miracle Hair Mask and REDKEN Real Control Intense Renewal Super Moisturizing Mask. And coming soon (Jan. 27) to your local Hair Cuttery, we have a couple more NEW hair mask products. REDKEN Extreme Strength Builder Plus provides intense repair for damaged hair and strengthens hair and REDKEN Color Extend Magnetics Deep Attraction Mask is sulfate-free, extends the life of your hair color and leaves hair softer, smoother and fortified! If you find your hair is plagued with static electricity despite conditioning, give your hairbrush a dose of hairspray and apply to damp or dry hair. It's important to keep all your fuzzy sweaters and other winter clothes "conditioned" too. Using fabric softener on your clothes, especially garments you put on over your head, will help to reduce static electricity in your hair. Avoid excessively hot water when you wash your hair. Hot water is drying to hair. Rinse in tepid or even cold water for smooth, shiny hair all winter! Try wearing your hair in trendy buns, braids and updo hairstyles during winter. Not only will this limit your hair's exposure to the elements and dry air, they are beautiful and wonderfully festive! Trim often. If you are maintaining length, trim your hair about a half inch every 6-8 weeks. If you are actively growing your hair, trim it a half inch every other month during the cold season. This will help prevent any breakage from moving up the hair shaft and causing you trouble later! Come into your Hair Cuttery for any of the products recommended above or ask your stylist if you're unsure which products will work best for you. For more product recommendations, tips and haircare how-tos, follow us on Facebook, Twitter, Instagram (@haircuttery) and Pinterest. Stay warm, hydrated and beautiful this winter!